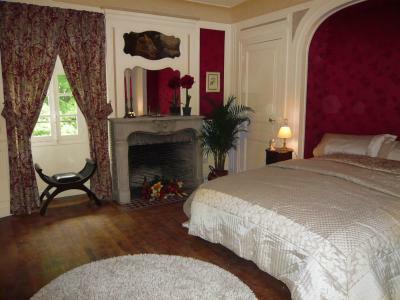 Lock in a great price for Hattonchatel Chateau – rated 9.3 by recent guests! Fabian is a wonderful host and chef. The castle is beautiful, but the best part is dinner in the gorgeous dining room. Fabien was a very hospitable hotel manager. The room was well-appointed, spacious and clean. The 5 course dinner with wine pairings was wonderful. Great ambiance. Historical building and setting was wonderful and manager/chef was fantastic. Dinner in front of the roaring fire was superb. 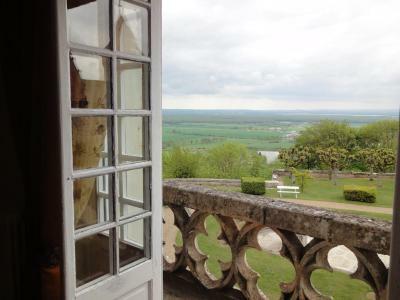 How often do you get to stay in a hilltop chateau at a fairly reasonable price? Wonderful grounds, grandeur, breakfast. And don’t miss out on a four-course meal in the dining room (pictured) with its big fireplace — worth a splurge for one of your nights there! Really friendly, helpful staff (who speak English). The view. The beautiful building. 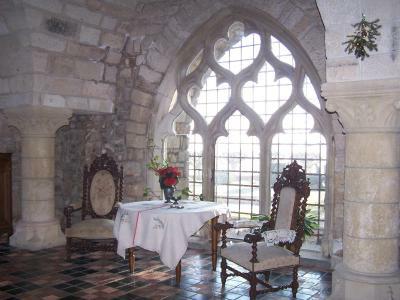 Splendid dining room and special evening meal. 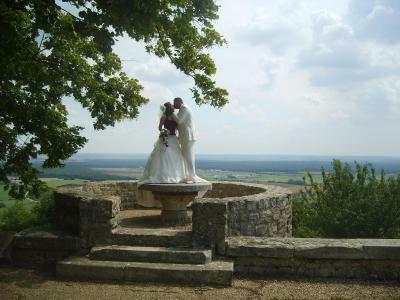 Gorgeous castle and grounds with beautiful views! Would highly recommend the 4 course dinner in the fireside dining room. Fabien was a great host, very attentive and informative and made us feel so welcome. This place was amazing! SO, SO beautiful inside the castle!! We loved all the antiques and such and exploring the grounds too. The whole was fantastic. We got an upgrade for just 20 euro more! Our room was fantastic!!! But the best part was the ROMANTIC candle-light DINNER in the castle dinning room (in front of the giant roaring fireplace). My husband & I will remember this for the rest of our lives. The meal was the best meal I have ever eaten in my life. I'm not normally a huge fan of duck, but the way it was prepared was absolutely delicious!!!! And the most romantic setting I have EVER had dinner. It is worth the "splurge" to have dinner here. Each course (we had the 2-course), came with sparkling-wine or wine. The dessert was amazing too!!! 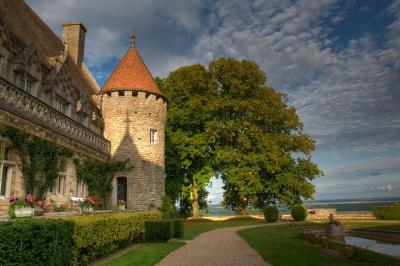 I will never forget this very romantic French dinner in this incredibly beautiful French chalet/castle. All the staff was great and breakfast was good also. Beautiful setting and stunning castle. Lovely share spaces. We loved the special lighting and fireplace in our room. Clean and comfortable. We enjoyed the special dinner in the Great Riom!!! The staff did everything to make our stay special and comfortable. We would definitely love to go back and stay longer in the future!! Breakfast was fantastic with eggs cooked to order, bacon, hot coffee, fresh croissants, and all the other continental staples. Fabian, the owner, will do anything to make you comfortable. Beautiful historic property. Romantic. Wonderful dinner experience. 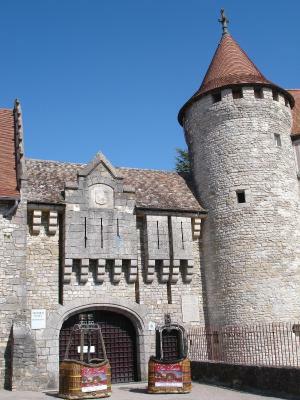 Located on a hill top with views of the surrounding countryside, Hattonchatel Chateau is located in France’s Lorraine region, 22 mi from Verdun and the WWI Battlefields. 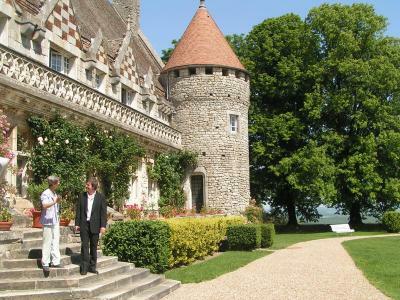 It offers rooms and suites, a garden and terrace. Free parking and free internet access are available. 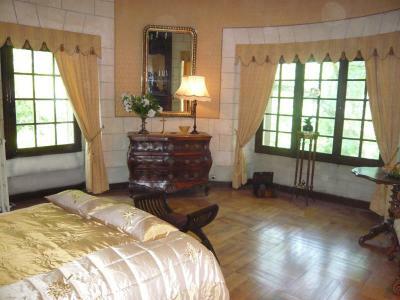 The rooms and suites at Hattonchatel Chateau either feature an private bathroom or a shared bathroom. 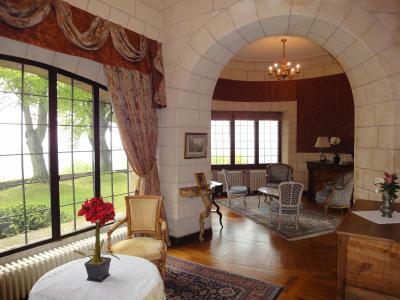 Hattonchatel Chateau can prepare traditional French cuisine that guests can enjoy in the dining room next to the open fireplace. Meals must be reserved in advance. 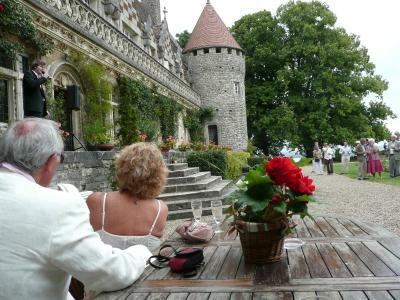 Guests are invited to explore the 13,500 m2 castle grounds with its ornate fountain and pond. 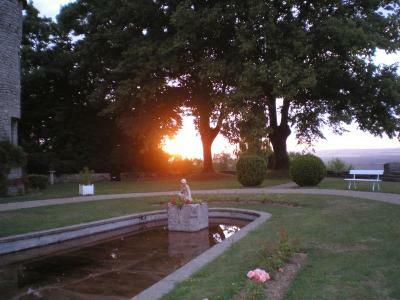 There are a number of activities nearby including horse riding, golf and fishing. 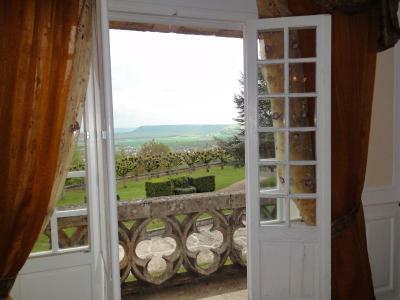 This property also has one of the top-rated locations in Hattonchâtel! Guests are happier about it compared to other properties in the area. 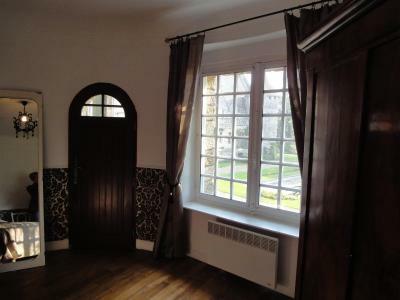 This property is also rated for the best value in Hattonchâtel! Guests are getting more for their money when compared to other properties in this city. 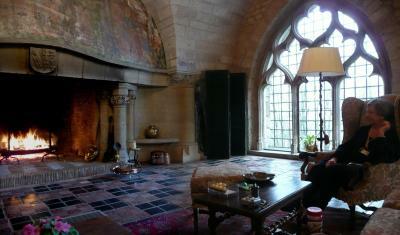 When would you like to stay at Hattonchatel Chateau? This room can accommodate 2 adults and 2 children using one extra bed. 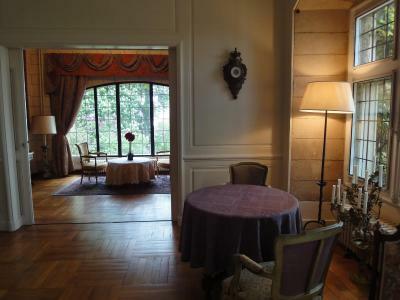 Decorated in a classic style, this room offers a view of the grounds. It is located in the tower. 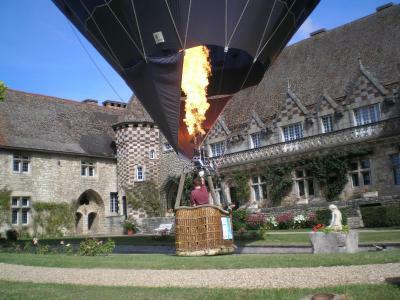 House Rules Hattonchatel Chateau takes special requests – add in the next step! Hattonchatel Chateau accepts these cards and reserves the right to temporarily hold an amount prior to arrival. If you expect to arrive after 19:00, please contact the property in advance. Late arrivals may be at an extra charge and are not possible after 21:30. Please inform Hattonchatel Chateau of your expected arrival time in advance. You can use the Special Requests box when booking, or contact the property directly using the contact details in your confirmation. Great location for a walker! The location is breathtaking and the dining hall as well. Fabulous place, good food, excellent wine, superb service. Beautiful building WOW! Everything was wonderful, Fabian was so kindly. Diner was also wonderful, it was a real « diner aux chandelles », typical french made. Foods were excellent, nothing bad in that place !! Concerning room, that’s a typical room very comfy. Simply the best .... ! At first I noticed a spiderweb around the lamp in our room, but it didn't really bother me. Actually I even found that it fits with the castle. But the dead bugs inside of a big candle were a "no-no" for me. I was also a bit disturbed by the isolation of the walls which meant that we could hear our neighbors a bit too well, but I'm not going to complain too much on this because it's not something that's easy to change. I really appreciated how helpful and kind the staff was and the overall interior design of the castle and attention that everybody got during breakfast! Off-the-beaten path, so few other restaurants close by (we shopped at supermarket and bakery and enjoyed picnic on grounds). Beds on the antique side — but make for good stories. The owner was a bit rude on arrival, or maybe he just had a very dry sense of humour. Ask the price of the evening meal before committing. The food at dinner was just OK, but nothing special, which is a great pity considering the setting. The building and setting are wonderful, including the dining room with high, vaulted ceiling, large open fire and candles at each table.